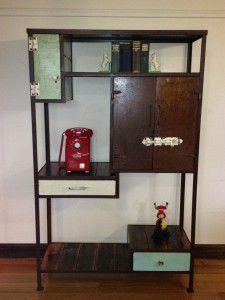 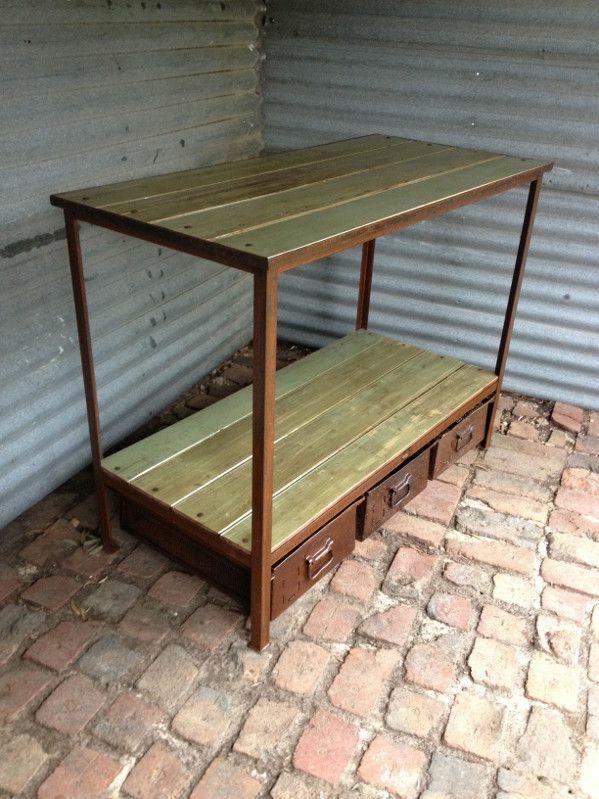 This piece celebrates up-cycling. 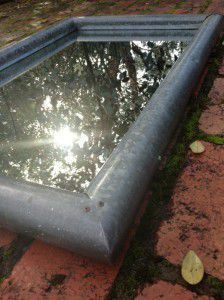 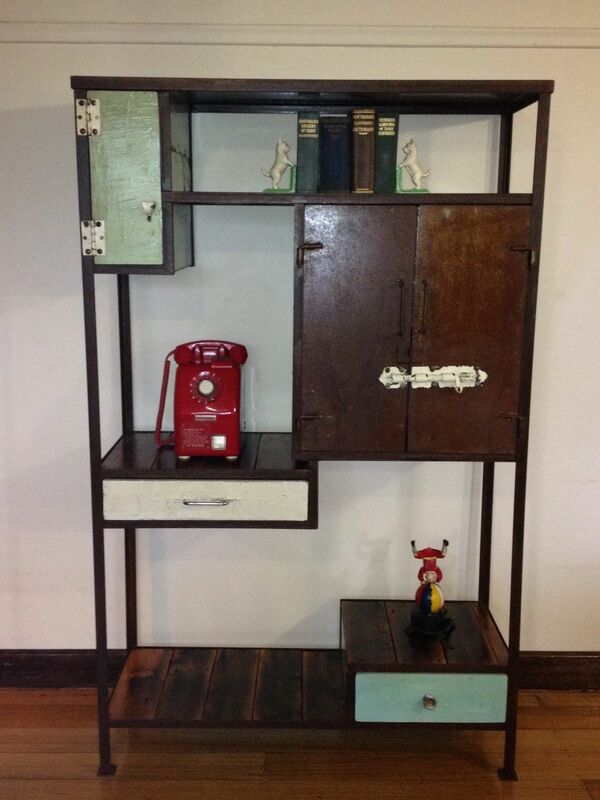 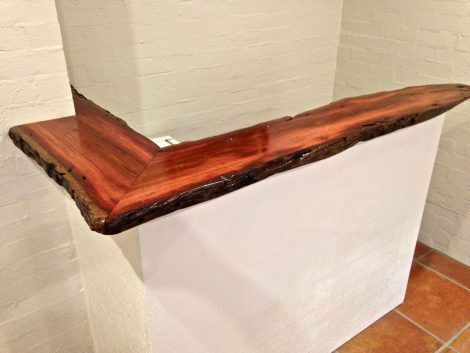 A rusted steel frame is the foundation for a myriad of recycled materials and fixtures. 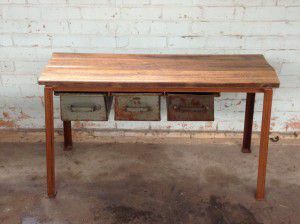 Beautifully finished, with safety stops on the drawers and magnetic door fasteners. 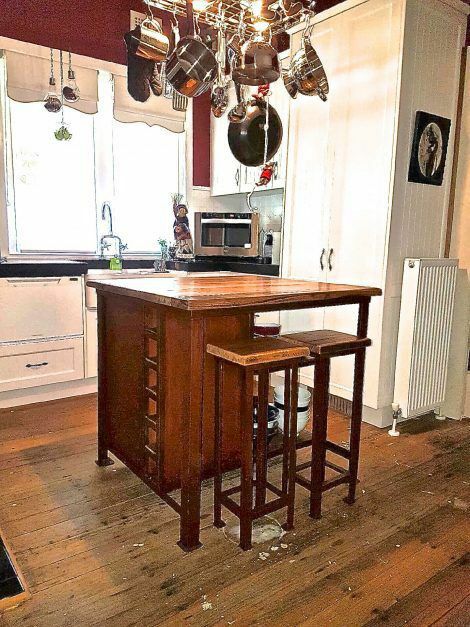 A unique, one-off, multifunctional piece. 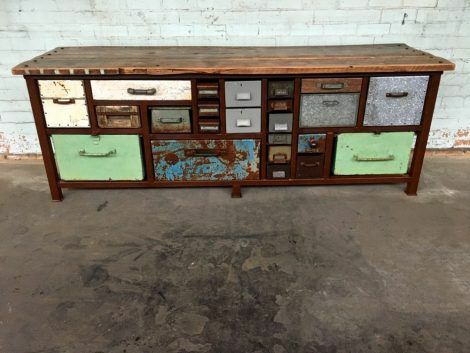 Sideboard with drawers, featuring reclaimed vintage painted timber tops. 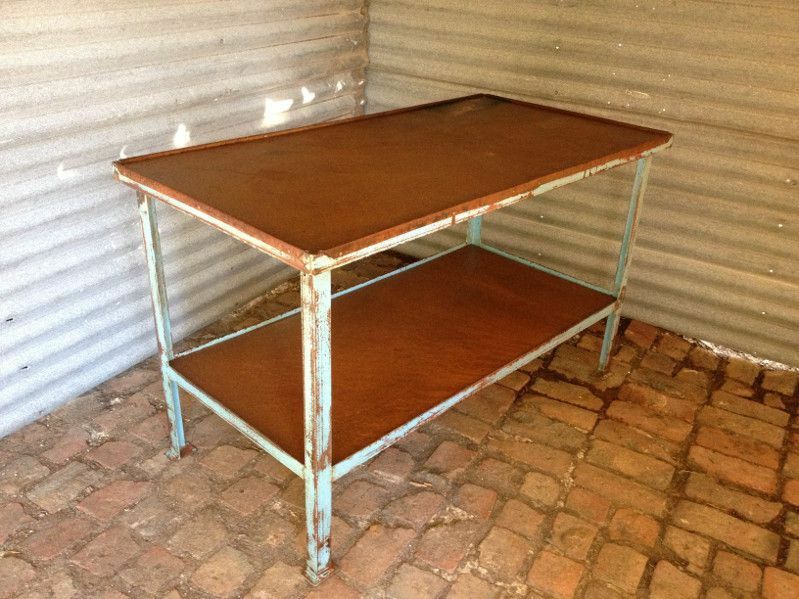 Rusted steel storage drawers and steel framework have been sealed to protect and prevent further rusting. 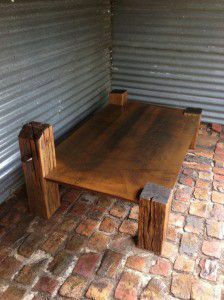 Industrial coffee table made from reclaimed timber electrical posts from Ballarat, Victoria with a rusted steel top. Rust has been sealed to protect and prevent further rusting. 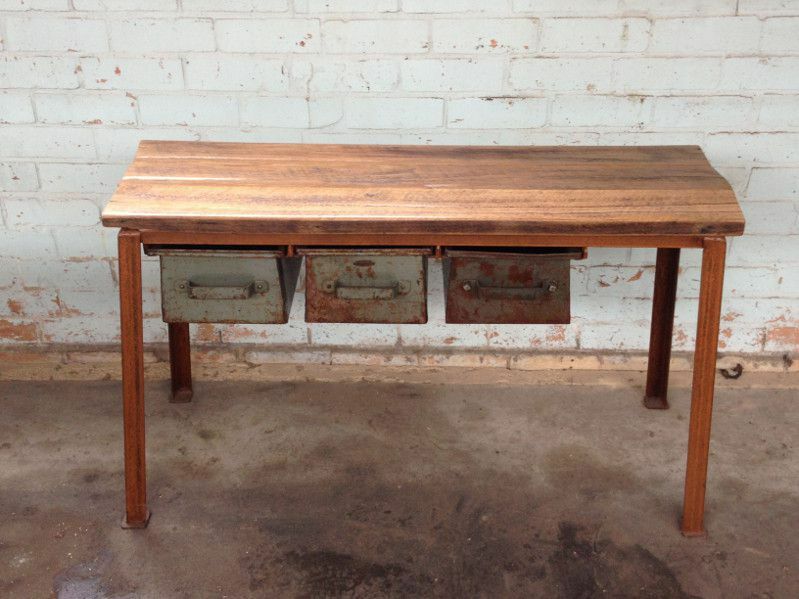 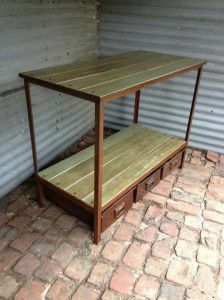 Blue rustic industrial steel table, upcycled from a TAFE automotive college workbench. Steel has been treated to prevent further rusting. 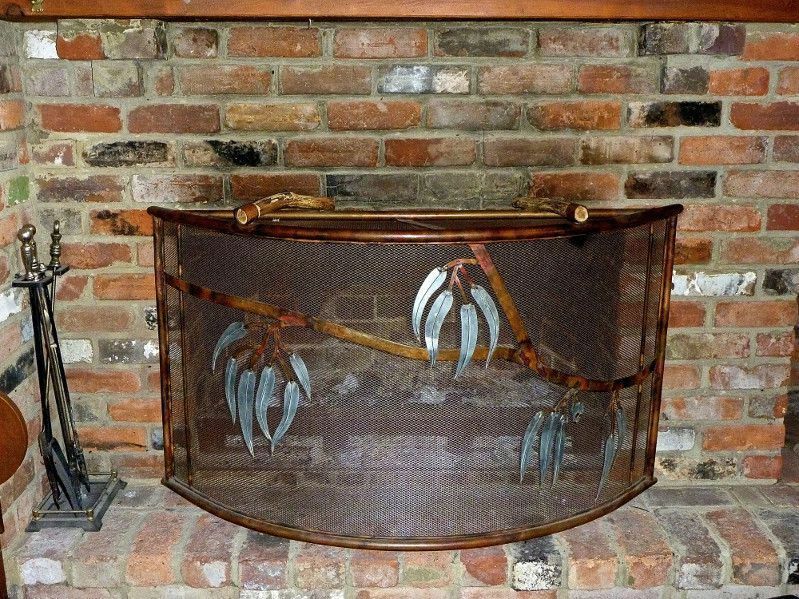 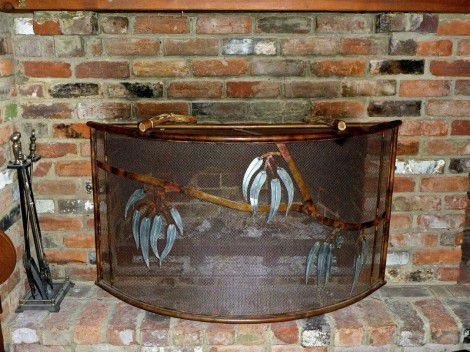 Custom made fire screen with decorative metal leaves.